» Dr. Wolfe Tells Us….What Best Predicts Marital Satisfaction? In a previous post, I discussed how the question of “what predicts marital satisfaction?” has been carefully researched and analyzed. One of the most comprehensive and fruitful longitudinal studies of its kind was conducted by CTI’s own Dr. Scott Wolfe. When Dr. Wolfe first conducted his research, there was much enthusiasm for various “marital enrichment” programs. The problem was there was little or no research to inform these programs as to which marital variables would require the greatest emphasis in their program. But there were lots of longitudinal studies on divorce. Divorce has been under the social science microscope for more than half a century. But at the time of Dr. Wolfe’s research, only two studies, (Markman, 1977, 1981) and (Bentler and Newcomb, 1978) actually followed couples from the time of their marriage onward. This research didn’t help to optimally design Enrichment programs, however. Bentler and Newcomb only focused on personality traits and concluded that they were predictive of marital satisfaction four years later. Characteristics of personality are not easy modified by enrichment programs. Markman (1977, 1981) studied communication in couples. Dr. Wolfe’s study sought to provide useful data that could identify what specifically predicts marital satisfaction. What was sorely needed was valuable data that marriage enrichment programs could zero in on. And Dr. Wolfe found it. What Predicts Marital Satisfaction? Dr. Wolfe offers an Answer! The most significant finding from Dr. Wolfe’s study was that the perception of how empathetic your partner is towards you the greatest variable in marital satisfaction. We have to believe deep down, that despite any surface differences, our partner is empathetic and is willing to see things from our point of view. Empathic understanding is one of the primary processes in marital communication which facilitates satisfaction. Empathy encourages emotional bonding, and determines in part, whether or not a couple will describe their marriage as satisfying. When you show compassion, you demonstrate the capacity to describe your partner’s inner experience and communicate that understanding so effectively that your partner feels like you “got” them. You also consistently show curiosity, ask thoughtful questions, and remain attuned with your partner as your growing understanding of their feelings unfolds. Empathy includes not only how you think, but also how you regulate your emotions, and how effectively you can communicate without sliding into defensiveness or criticism. 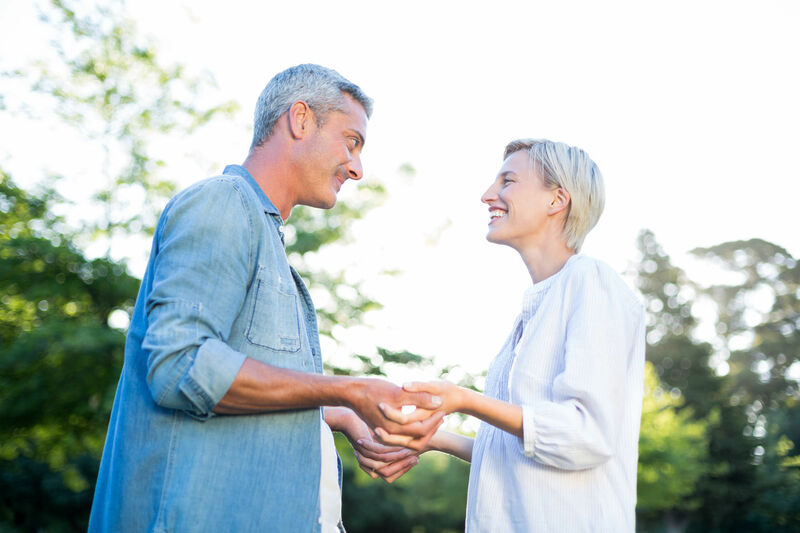 A well-developed capacity for empathic understanding was found by Dr. Wolfe to be the best predictor of marital satisfaction for both men and women. Couples who rate their partner as empathic before marriage, are more likely to be satisfied after the wedding. An Additional Trait that Contributes to Satisfaction…for Men Only! Dr. Wolfe did notice a less highly correlated additional trait which also contributed to a husband’s marital satisfaction. When confronting problems, men are socialized to be solution-oriented, and they appreciate spouses who either share or appreciate that trait. Women, however, did not identify “problem-solving” as important to their satisfaction. Men who considered their spouses skilled at working with them to find solutions to problems before marriage also tended to be more satisfied with their partners after they married. CTI team member Dr. Scott Wolfe is a Certified Gottman Master Trainer, and a highly experienced Certified Gottman Therapist. Dr. Wolfe holds science-based Gottman Method Couples Therapy Intensives in his office in Las Vegas, Nevada. Get Satisfaction with a Science-Based Couples Retreat in Las Vegas with Dr. Wolfe! Previous Post Gottman Research Describes 5 Kinds of Couples Next Post Why Is My Wife So Angry?